All of us have Fears and suffer from Procrastination at one time or another. 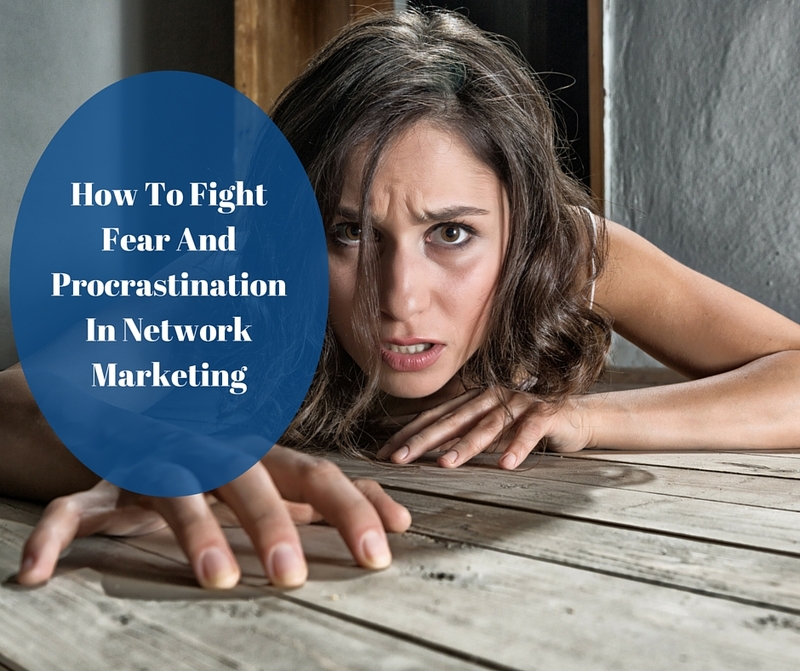 Today I’m going to talk about how to fight fear and procrastination in your Network Marketing Business. If you are human and want to change how you handle these two dream stealing emotions in your life then you need to keep reading! My Mentor, Upline and Friend Ray Higdon put together a series called, “Straight Talk” that is just phenomenal. The problem with FEAR is that it will stop you in your tracks and cause your business to FAIL! The problem with PROCRASTINATION is that it causes you to make a habit of creating excuses for not doing what you know you should and will cause your business to FAIL! Before we can talk about how to fight fear we need to know what causes it. There are many things that may cause fear in your life, but let’s just talk about of few of them today that I believe relate to your Network Marketing Business. I’m just going to list these causes here and encourage you to get Ray’s course on Straight Talk on Fear and Procrastination to get all of the great teachings that he provides. Before we can talk about how to fight procrastination we need to know what causes it. There are many things that may cause you to procrastinate in your life, but let’s just talk about of few of them today that I believe relate to your Network Marketing Business. Again here I’m just going to list these causes here and encourage you to get Ray’s course on Straight Talk on Fear and Procrastination to get all of the great teachings that he provides. 5. I Don’t Know What To Do. I’m Confused. The way you conquer fear is by action. Understand that fear is completely natural and there will always be some sort of fear in your life. Doing what we fear most and taking consistent action will get you past those fears. The thing I have found about taking action to conquer my fears is that it reduces all the bad stress that goes along with it. Understand that I’m not saying that this is going to be easy, just that you will feel and be much better off than you currently are running away from your fears. If you understand that our procrastination is all about our language and the excuses we accept in our lives. If you change all the “someday” talk to “I Will” talk you will be surprised how things can change. Instead of saying someday I will get out and prospect, how about saying the I will get out and prospect TODAY! You will be surprised how changing our self-talk and then TAKING ACTION will change how we do all things. So for me the one thing that will help in both of these areas is to take consistent, directed ACTION! I hope this post, How To Fight Fear And Procrastination In Network Marketing, has helped. Fear and procrastination can overcome us all at times. Your awesome tips should point anyone in the right direction to get through those days when we feel fear and don’t take any action. Thanks for sharing. Glad to see your blog back up Ron.